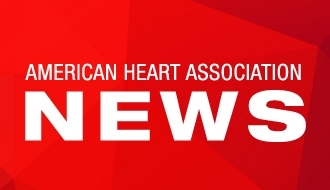 Washington, D.C., March 13, 2019 – A policy statement published today by the American Heart Association in the scientific journal Circulation describes the actions that governments, the public health community and health care providers must take to achieve the “tobacco endgame” of ending all tobacco use and nicotine addiction in the U.S., a goal that first requires minimizing the use of all combustible tobacco products and ensuring that electronic cigarettes and other recent products do not addict the next generation of youth and adolescents. The statement’s authors assert that this endgame goal is at risk with the tobacco industry’s increasingly aggressive targeting of youth and adolescents, which has driven the rapid rise of electronic cigarettes and other new and emerging tobacco products, posing an unprecedented threat to human life and the decades of public health efforts to reduce tobacco use. Health care providers and consumers are fully educated about the dangers of tobacco use and nicotine addiction. The policy statement was released as an American Heart Association presidential advisory, which reviews the science landscape on urgent public health issues and offers implications or suggestions for practice, policy and future research. According to the advisory’s review of the science, the long-term health effects of e-cigarettes and the net public health effect associated with their long-term use remain unclear and widely debated. At the same time, large numbers of youth are using e-cigarettes in combination with other tobacco products. Among current tobacco users, an estimated 2 in 5 high-school students and 1 in 3 middle-school students are using two or more tobacco products. The advisory states that the tobacco industry’s increasingly aggressive tactics – which include targeting youth and adolescents though social media campaigns, radio and television ads, and celebrity spokespeople and staunchly opposing strong tobacco control and prevention policies while positioning themselves as responsible industry partners in the public health dialogue – add urgency to the need for regulation and public education. Strong government oversight of the manufacturing and marketing of all tobacco products, including robust FDA regulation of tobacco product manufacturing, design and marketing. Nicotine should be reduced in traditional cigarettes and all combustible tobacco products, and all tobacco products should include a nicotine concentration label. The tobacco industry must be prevented from altering ingredients or flavors to retain the appeal and addictive potential of reduced-nicotine products. The FDA and other government agencies should strengthen enforcement efforts to prohibit illegal sales. The FDA should ban the use of all characterizing flavors and sweeteners, including menthol, in all tobacco products. All marketing and advertising of tobacco products, including e-cigarettes and other non-combustible products, should be restricted. This includes online, social, television, radio, and print ads, celebrity endorsements, movie placements, price promotions, event sponsorships and branding of non-tobacco merchandise. Marketing and advertising restrictions should be coupled with the requirement of graphic warning labels on all tobacco products in the US. The FDA’s Center for Drug Evaluation and Research should collaborate with the FDA’s Center for Tobacco Products on the research and legal analysis needed to facilitate e-cigarettes being regulated and sold only as FDA-approved cessation products. Educating health care practitioners to have more meaningful conversations with patients about tobacco use. All health care providers should be trained on tobacco use and regulation, youth access, potential health impacts and behaviors including switching from combustible tobacco products and cessation. In general, providers should screen for use of any tobacco products in all patients at every visit to facilitate tobacco cessation. Providers should encourage patients to utilize proven smoking cessation methods such as nicotine replacement therapy and counseling, and they should counsel youth and adolescent patients to avoid or quit the use of all tobacco products, including e-cigarettes. Youth substance use prevention programs should target reduction of e-cigarette use. Should a patient fail initial treatment and be unable or unwilling to use conventional smoking cessation medications, it may be reasonable to support an attempt to use e-cigarettes. Adult patients should be informed that although e-cigarettes may be less toxic than cigarette smoking, these products might have adverse effects on their cardiovascular system and overall health, if used long term. Providers should advise patients not to use e-cigarettes indefinitely but rather to implement a transition strategy and ultimately quit e-cigarette use. The use of e-cigarettes should not endanger their attempt to quit regular cigarettes. Providers should stress that patients should quit smoking cigarettes entirely as soon as possible because continued cigarette smoking, even at reduced levels, imposes significant health risks. Global coordination of regulatory efforts is needed around tobacco control and prevention. The FDA should consider the wide variability in how e-cigarettes are classified in various countries, which has led to large differences in regulations on these products and their inclusion in policies that have been typically applied to combustible tobacco products. The FDA should develop a single source application for an award to the World Health Organization for building research capacity in global tobacco regulatory efforts. The FDA would likely benefit from the expertise of the World Health Organization member states and their extensive international contacts in the area of global tobacco control, as well as the programmatic expertise within the World Health Organization, to inform and support adequate manufacture, distribution, and marketing regulations of tobacco products for the protection of public health in the US.